Now that we have gone through an overview of the loan, some frequently asked questions and a general review of the Reverse Mortgage for Purchase process, let’s take a look at a couple of scenarios. • They want to purchase a newer, ranch style home in an active adult community closer to their family/grandkids for $475,000. They are interested in coming in with the minimum amount of funds to close the purchase transaction. • Based upon the factors used to determine the closing funds or down payment that are needed to purchase this home, it is calculated that about $237,500 is needed from them to purchase the new property. • They buy the new property using $237,500 of their $300,000 from the sale of their existing home which leaves them $62,500 in funds for moving, home improvement, and reserves. 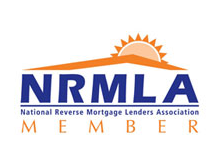 The balance of the purchase price along with the required closing costs are included in the new Reverse Mortgage for Purchase loan. • They now have a new home at a purchase price of $475,000 with a $237,500 down payment and no monthly principal and interest mortgage payments for life! • As with all mortgage loans they must continue to pay property taxes, homeowner’s insurance premiums, and any HOA fees after using a HECM for Purchase. • A widow, age 70, who recently lost her husband wants to downsize into a one level condo from her two story 2,500 square foot home on an acre lot. • Based upon the factors used to determine the closing funds or down payment that are needed to purchase this condo, it is calculated that about $149,000 is the minimum needed from her to purchase the new property. • That would leave her with $151,000 in reserves from her original $300,000 in net home equity that she could invest on her own or through an advisor to handle future property taxes, insurance premiums, HOA fees, and maintenance. Instead, she decides to use the full $300,000 in net proceeds from sale of home to create through the Reverse Mortgage for Purchase option guaranteed monthly advances of $988.00 for her life or have an initial line of credit of $154,000 which has a built-in growth feature. • As well, she purchases the new condo and will not be required to make monthly principal and interest mortgage payments as long as she occupies the home. • Of course as stated above and with all mortgage loans she must continue to pay property taxes, homeowner’s insurance premiums, and the HOA fees after using a HECM for Purchase. Wow, as you can see the Reverse Mortgage for Purchase has a lot of flexibility and can be modified per each individual buyer’s situation. Call me today toll free at 1-888-323-3555 or directly on my cell phone at 760-458-2755 to discuss further how this incredible financing option can improve your retirement lifestyle. I will be happy to provide an illustrated quote reviewing various options showing rates, fees, down payment requirements, and possible payments to you. ***Scenarios are based on current principal limit factors and interest rates as of 1/7/2016. Scenario 1 is using a fixed rate of 5.06% and Scenario 2 with the annual adjustable rate of 3.678%. Disclaimer – above scenarios are approximations and depend on the interest rate at time of application, the age of the borrower, the value of the property, the financial assessment and are generally subject to change.